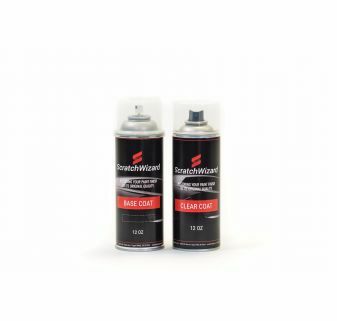 Find factory-matched car repair spray paint for touch-ups on scratches and scuffs. We have exactly what you need for your scratch repair. Shop our selection to find complete spray paint kits, premium basecoat only, basecoat plus clear coat, automotive spray paint primer, and automotive spray clear coat. 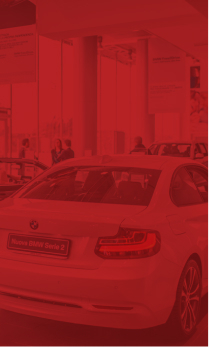 We are so confident that our automotive touch-up spray paint will match your vehicle’s factory paint that we offer a 100% OEM color match guarantee or your money back. Your money will be refunded if you are unhappy with the color match within 30 days. Repair your car paint and drive with pride. 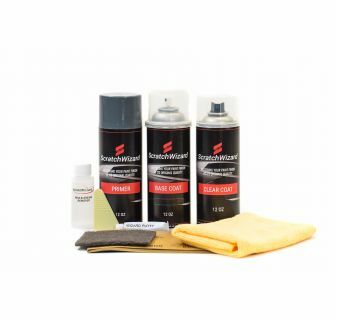 If you want professional-quality scratch repair at home, shop automotive touch-up spray paint from ScratchWizard. We guarantee the car repair spray paint color will be identical to the manufacturer, or we will refund your money. 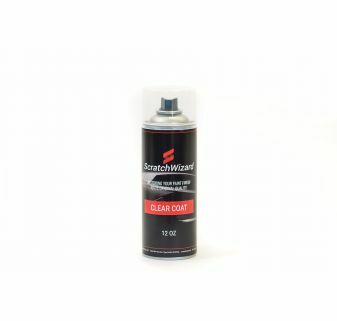 Make sure your repair shines bright by using ScratchWizard Clearcoat with your basecoat. Make scratches and scuffs disappear with our premium aerosol basecoat. Fast-drying, easy-sanding grey primer for plastic or metal surfaces. 12 oz. can covers 6-10 square feet. Apply multiple light coats. Dries within 15 minutes. Brilliant, glossy finish at an exceptional value. 12 oz. can covers 6-10 square feet. Apply two heavy coats. Dries within 10 minutes.